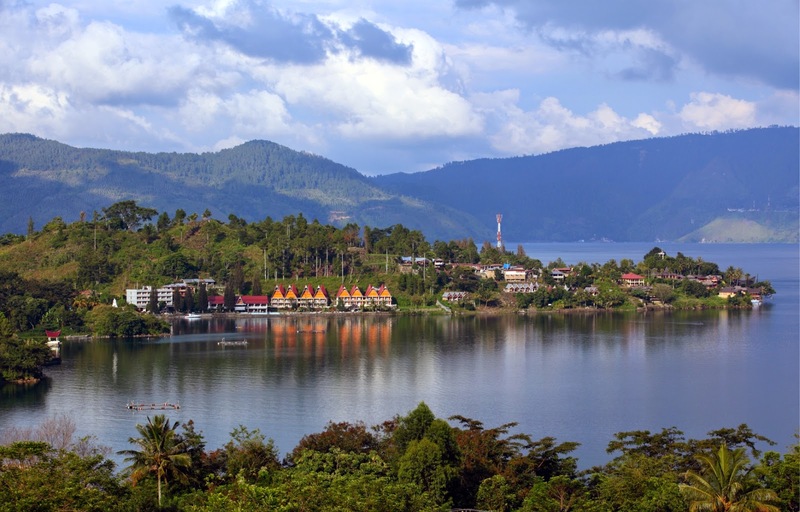 Lake Toba is a lake with 100 kilometres long, 30 kilometres wide, and up to 505 metres (1,666 ft) deep. Located in the middle of the northern part of Sumatera. The lake is also known a Supervolcano, It is the largest lake in Indonesia and the world's largest volcanic lake. There's an island called Samosir In the middle of Lake Toba, embellished with several wonderful spots that attract both domestic and international tourists. Samosir Island is one of Indonesia's finest Island with a rich heritage and stunning scenery. 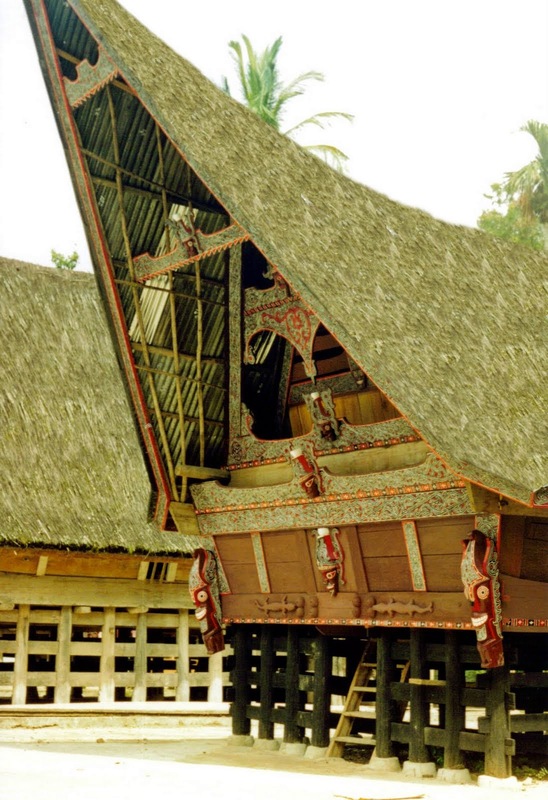 Home to the Batak Tribe and the Siallagan Kingdom is famed for its architecture as well as its history that practiced Cannibalism and buildings being constructed with fiber roof and without nails. Samosir is a fine destination in itself, its location in the middle of Lake Toba means travellers can easily reach the island by road through Medan - Berastagi - Tele trip or take a ferry to Tomok from Parapat. Travellers can get around Lake Toba and its vicinity by ferry or by hiring a jet ski and even travelling by bus is still convenient and enjoyable. Before you book your hotel room, you can compare the prices to make sure you get the best deal on you trip. Make sure you visit Tuktuk, Tuktuk is located in the east side of Samosir Island, providing a good link by ferry to Tomok in Samosir Island. It's a 40 minute travel by Ferry to Parapat. it is the most visited place by tourists because of its strategic and wonderful location. it probably one of the most exciting and romantic areas in Samosir Island. 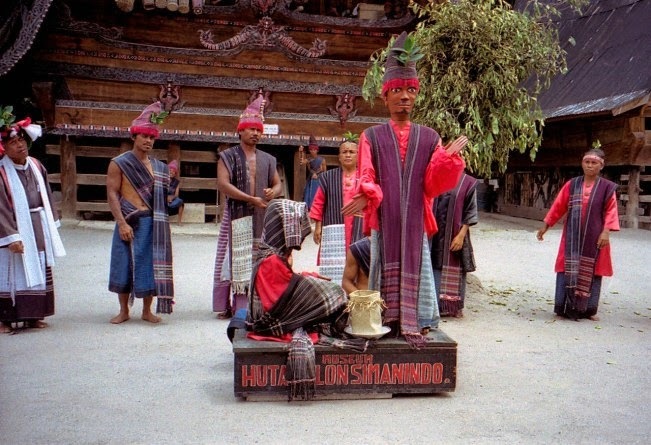 Tomok is the Samosir gateway to Parapat. Tomok is well known as a place where travellers can buy high artistic value souvenirs such as carvings, sculptures and accessories, ulos and others related to Batak Tribe, from Tomok travellers can continue travelling to Desa Siallagan, Pasir Putih and Hot Spring Pusuk Buhit Mountain that used to be known as Toba Supervolcano.